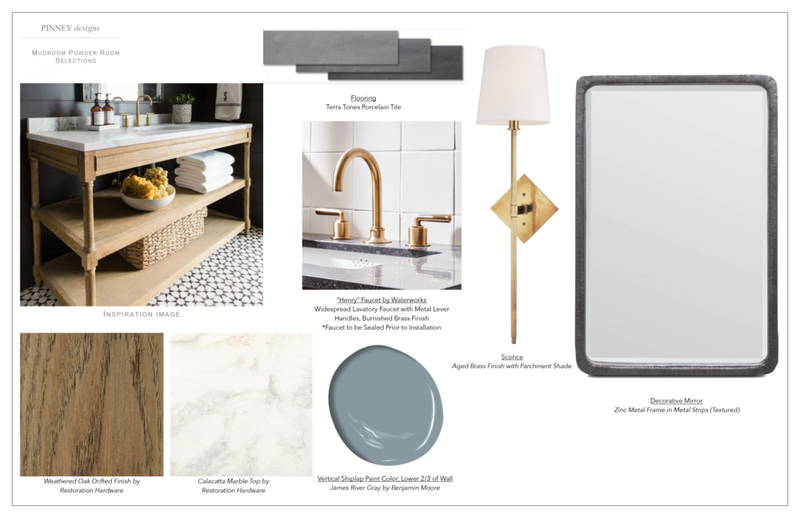 In an exciting new project in Carlisle, MA we’ve been working with the architect and builder to reconfigure their entire home but for this blog we’re focusing on the mudroom and powder room. The goal of this reconfiguration is to achieve what every home owner really wants, more space! We’re taking over a neglected screened in porch to make more space to expand the mudroom with cubbies for kids storage. We’re also designing a large powder room, and a walk-in pantry outfitted with a steam-oven, wine fridge and small bar sink. *Swoons. 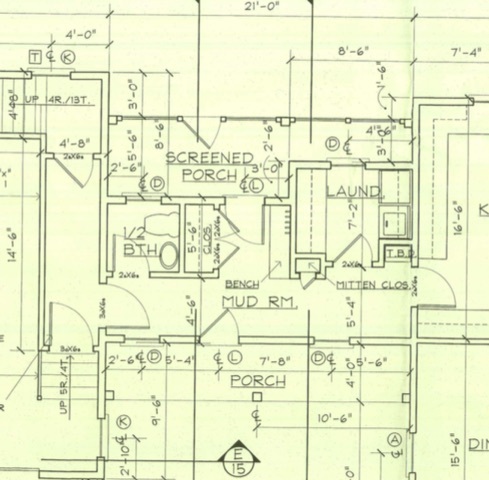 Take a look at the before and after plans below and read on about our clients inspiration! We are especially excited about the larger powder room which we are going to use a porcelain tile on the floor that looks like slate. It wears well and looks great. We are mixing finishes in the powder room by using brass on the decorative sconces, faucet and other plumbing and using bronze on the decorative mirror. Along with the metals we are incorporating a gorgeous oak finish for some warmth on the vanity base. The pantry is a space that the clients have been dreaming about… we are excited to see it come full circle. We are making the space blend with the client’s existing kitchen so that they feel related. See below elevation drawing and inspiration images we referenced for the space.